Symphylans and Crustacean Meal (Crab Meal) - Walt's Organic Fertilizer Co.
Just how does this product work against Garden Symphylans? ~Customer October 18, 2016. “Animal-based amendments include chitin-containing crab shells and shrimp shells that apparently stimulate populations of soil-dwelling fungi that feed on chitin. Because chitin is a component of nematodes’ egg shells, these chitin-feeding fungi also feed on these egg shells.” (http://ipm.ucanr.edu/PMG/r280200111.html). This would be a great answer if I had asked about Nematodes. I didn’t – I asked about Symphylans, which is a very different creature… ~Customer October 18, 2016. Below you will find a few more quotes suggesting the relationship between crustacean shell chitin a soil amendment to foster greater concentrations of microorganisms (bacteria and fungi) in the soil to combat chitin-based organisms. So, the previous quote provided (linked to a nematode study) should apply also to symphylans. Ultimately, for us, success of control using crab meal is largely anecdotal. 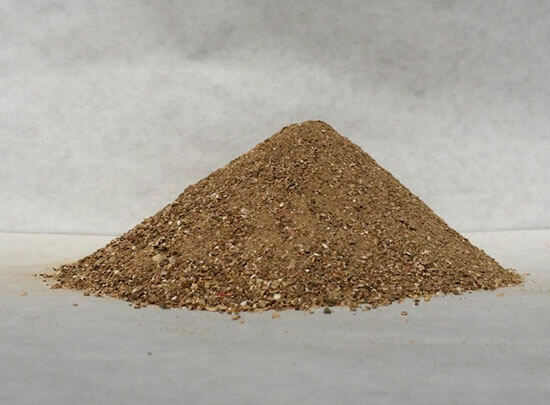 We have a client in California that has ordered crab meal from us repeatedly swearing it made a huge difference for them battling a symphyla problem in their soil. We make no guarantee it will control these soil organisms, but client feedback has been positive. For pest control, the goal should not be eradication, but to keep populations at an acceptable level. I would hazard to suggest that Symphylans play an important role in the soil. Crop rotation would probably also be worth considering. “Crab shell is high in chitin, which promotes the growth of chitin eating bacteria. The exoskeletons of fungus and harmful varieties of nematodes eggs are high in chitin. When added to the soil, crab shell helps to create a hostile environment for the fungus and root destroying nematodes by feeding the biological life that eats chitin and chitin based organisms.